To discuss the future growth prospects in the online fashion and lifestyle segment, Myntra.com, a leading e-commerce platform for fashion and lifestyle products, has recently organised the second edition of its Annual Brand Meet 2013 in Bangalore. The event saw participation from over 200 brands from the fashion and lifestyle industry, with CEO/MD's of over 60 leading brands. The second edition of the Annual Brand Meet paved the way for the future of the fashion and lifestyle e-commerce industry, by bringing together partner brands for a day long networking event. The event served as an effective platform to empower participants with intellectually stimulating insights on the potential of this space. 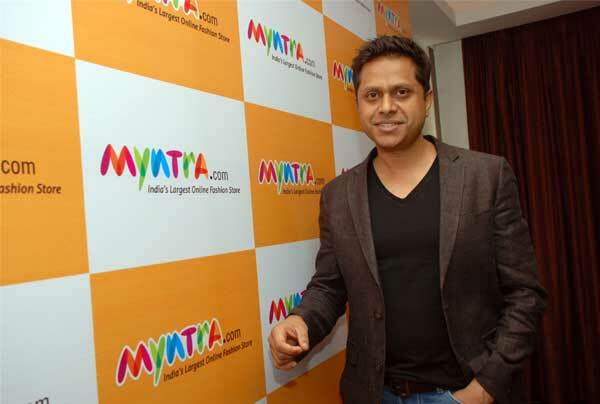 Myntra.com is pegged on the path of constant growth with over 500 partner brands and access to 32,000 unique products, making it the largest fashion destination online for Indian youth. The event kick-started with an insightful keynote address by Nitin Bawankule, Industry Director - Ecommerce, Google India. In addition, two panel discussions were organised comprising of senior industry leaders, and delved on issues affecting the Indian ecommerce space and explore opportunities of future growth. The event was hosted by the gorgeous TV anchor and Bollywood actress, Mandira Bedi. During the keynote address, Nitin Bawankule, Industry Director, E-commerce, Google India said that the rate at which the e-commerce industry is scaling is significantly huge. He revealed that online transaction of apparel and accessories are likely to overtake consumer electronics this year and more women are expected to shop online. He also highlighted the huge potential of m-commerce, with 30 per cent of online shopping queries coming from mobile and tablet devices today. This trend is expected to grow to 50 per cent by the end of the year. The first panel discussion focused on the importance of tier 2 and tier 3 cities and their future potential for the online shopping space. The panel included Sandeep Mukhim, CEO, Proline India Pvt. Ltd.; Sanjay Mehra, MD, TATA International, Wolverine Brand Ltd., Mukesh Bansal, CEO& Co-Founder, Myntra and E S Sudarshan, CEO, India on Time. The session was moderated by Kedar Gavane, Senior Director, comScore. As the discussion gained momentum, topics such as consistent demand and customer engagement from these cities were discussed. The panelists resonated the need for players in the Indian e-commerce sector to focus on the emerging markets (Tier 2 & 3) with a sustainable engagement model. The second panel discussion focussed on the best retail practices to engage and encourage women to shop online. This panel included Asif Merchant, Managing Director, Catwalk Worldwide; Sanjeev Aggrawal, Managing Director, Skechers; Anupama Bijur, Resident Editor, Bangalore, Magna Publishing Co Ltd., and Kanika Vohra, Business Head, ELLE. This discussion focused on bringing to fore solutions to bridge the gap between online and offline shopping for women shoppers and was moderated by Siddharth Puri, CEO, Tyroo Media Pvt Ltd. Following the panel discussions, Myntra announced the winners of the Myntra Brand Awards for FY ’12-13. The awards were presented to the leading brands in light of their immense contribution to the fashion space through unique and innovate designs. The event also featured an exclusive Fashion Show - ‘Ramp Up 2013’, displaying the new season collections available on Myntra.com. The fashion show set the momentum for the remainder of the event as it concluded in high spirits.